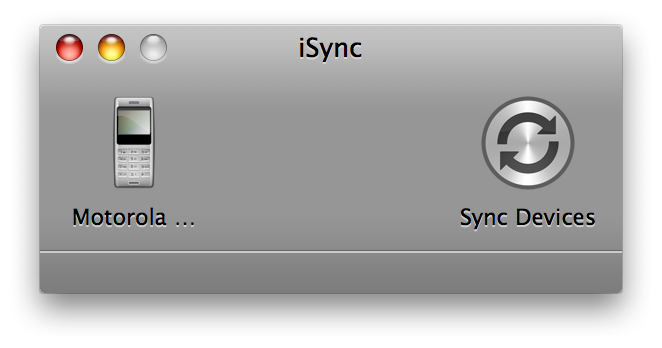 I don't see this listed as a feature of Leopard, and I'm away from home right now so I haven't installed it yet. Does Leopard support resolution independence like it was originally advertised, or did this feature get dropped during development? It's not activated yet. Apple is telling developers to be ready in 2008 which likely means RI full implementation in an point release. Update: what's interesting about that iSync screenshot, is that's not the phone it displays when the User Resolution is set to 1.0... The menu bar doesn't quite work right (and RI also exposes that its not use real translucency for its transparency effect), the highlighted Apple menu isn't a vector image yet (but the unhighlighted black apple is. Looks like there is still lots of work to be done.